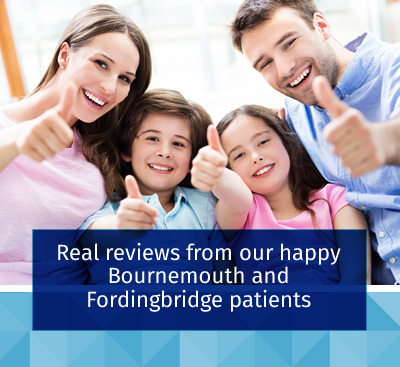 We have been delivering quality chiropractic care to the Bournemouth and Fordingbridge communities since 1996. All our Chiropractors are registered with the General Chiropractic Council. Castle Lane Chiropractic Clinic is proud to have won the Patient Partnership Quality Mark Awarded by the Royal College of Chiropractors for 2009-2011, 2012-2014 and 2015-2017 and 2018-2020, which represents our excellence at meeting patient expectations and providing the very best of care. We are also very proud that Fordingbridge Chiropractic Clinic has also won this award in 2010-2012, 2013-2015, 2016-18, and 2018-2020. We have been in practice for 20 years and our Castle Lane Clinic in Bournemouth serves very good road connections for Poole, Bournemouth and Ringwood. We are the white house on the corner situated on the well-known road, Castle Lane West, between Cooper Dean Roundabout and Castle Point Roundabout. We have our own car park on the premises so you can park right outside the clinic door. Our Fordingbridge Chiropractic Clinic was the first chiropractic clinic to open in the town, and serves the local farmers and community well. Our clinic is situated in a Grade II listed building which is over 300 years old, on the main High Street opposite Fox & Son and Tesco. The car park is just behind our building. Whether you are looking for a chiropractor in Bournemouth or a chiropractor in Fordingbridge, we want to be your chiropractor, so call one of our clinics today! Our mission statement is to provide the very best of care to you and return you to health as quickly as possible. We are satisfied only when our patients are satisfied. The most frequent question is “Can you fix it?” Over the years, because we have seen so many patients, with so many differing conditions, there isn’t much we haven’t come across and our success rate is high. All our Chiropractors are trained to work with pregnant women, babies and children. Some of our chiropractors have completed extra training in paediatric care and are very experienced in treating children of all ages. 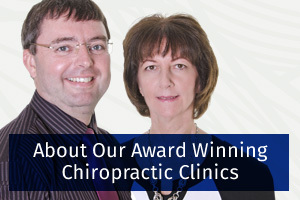 Janis & Martin Laking are Fellows of the Royal College of Chiropractors (paediatric faculty) . We have also established relationships with other health care professionals and put it this way if we don’t think you are suitable for chiropractic care, then we will refer you to another health professional. No visit is wasted to our clinic. We both had injuries and the results of chiropractic care were phenomenal enough for both of us to want to change our careers and become chiropractors ourselves. Not a decision to take lightly as we had to fund ourselves at that time, as no government grant was available then. We had to put our money where our mouth is as they say. Not cheap at £50k training (each!!). Nothing can be more powerful than that. We are so dedicated to making people well. We know what pain is like, and how it makes you feel, not just miserable, but how it can affect your whole life, your family and your dreams. We want all our patients to feel well and happy too. All our staff receive chiropractic treatment. They never accept pain as a choice, now they know something can be done about it. They understand chiropractic and can put patients at ease by simple explanations. They understand patients have concerns for their health and are dedicated to making a visit to our practice a positive friendly experience, and take pride in patients leaving our practice feeling better. Sound interesting? Please don’t suffer! Contact our Bournemouth or Fordingbridge Chiropractic clinic to make an appointment.